UDI U818A Plus Review - Almost Perfect Beginner Friendly Cheap Drone ! Today we’re going to take a look at UDI U818A Plus, another low to mid-range drone, depending on whether you catch it on sale or not. This drone is perfect for kids and beginners who want to learn the basics of flying a drone. UDI is a toys manufacturer based in Hong Kong. When it comes to drones, UDI focuses on manufacturing of affordable, beginner friendly drones like UDI U818A Plus. U818A Plus is in some places also being sold as DROCON U818A Traveler. These two drones are basically the same. DROCON is basically just a rebrand for different markets. 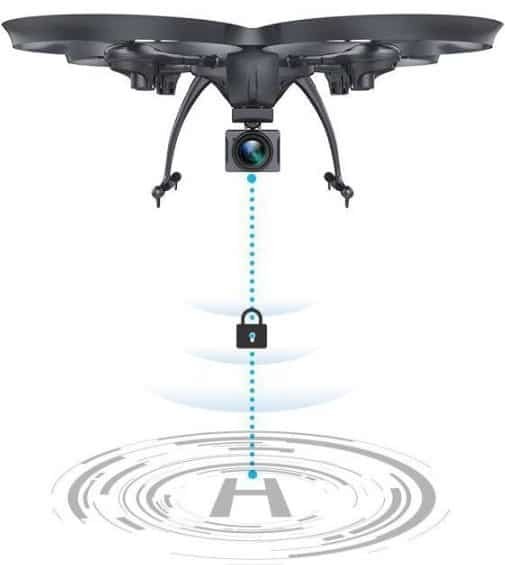 Let’s take a look at what exactly does this drone has to offer. 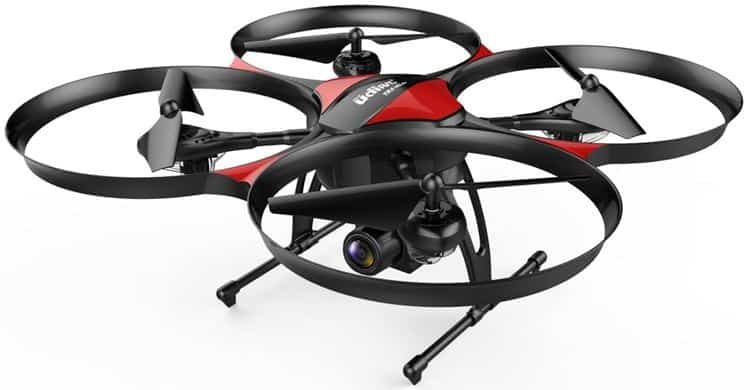 UDI U818A Plus is a larger drone with about 15 inches in length/width and around 7.5 inches in height. Drone owes most of its height to the large landing struts on the bottom, but also to the camera mount and the camera itself which sticks out quite a bit. Blades have non-removable blade guards around them, but they are made out of mushy rubber. You can bend them a lot to the point that they end up in the blades themselves. I’m not sure how effective they are going to be protecting the blades from damage. Luckily there are spare blades included with the drone, so you’re covered if you do manage to break the original set. Underneath the drone blades there are 4 LEDs, one under each motor. They make flying the drone at night a treat. Battery pulls out at the back of the drone. It uses a proprietary plug&play system where you just need to press a release lock and pull it out. Landing struts that I already mentioned are very sturdy and stable. All in all, the drone has decent build quality, except for maybe the blade guards. Not sure what they were thinking making them so flexible. Camera is one of the main selling points that UDI is using to get people to buy U818A Plus. They go as far as to say that camera on U818A has optical stabilization. What that means exactly I’m not entirely sure, but what I can tell you is that the camera does stand out when compared to even more expensive drones. The included 720p sensor with the 120° wide angle lens records decent videos and photos. Check for a sample of the video recording at the end of the review. The camera does have manually adjustable up/down tilt and it can be removed completely by sliding it forward and detaching the micro USB cable with which it’s hooked up to the drone. You could theoretically 3D print a custom mount for a Go Pro, but I haven’t tested that. One gripe that I have with the camera is that it has low pixel count and there is some slight jello effect, but you can’t really expect much for a $99 drone. Large transmitter that UDI U818A Plus has is very comfortable to hold and the button spacing is just right. I don’t normally mention button spacing in my reviews, but UDI team really did a great job with the arrangement of the buttons and joysticks on the U818A transmitter. There’s no accidental presses due to having to clumsily hold the transmitter or anything like that. 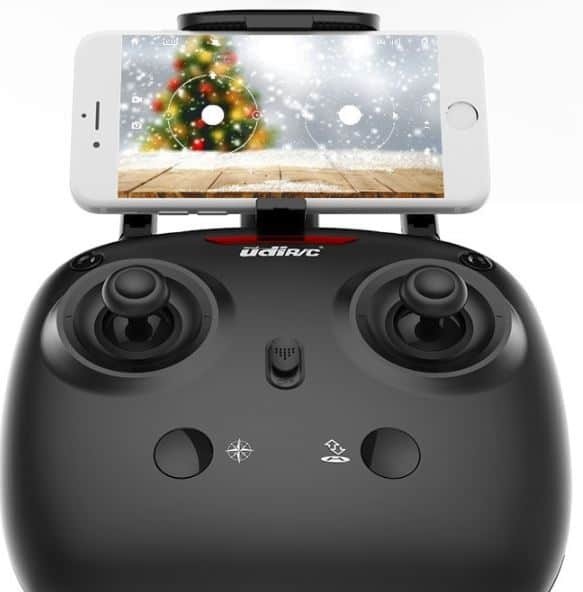 Transmitter has a built-in smartphone stand that pulls up top out of the middle of the controller and can hold your smartphone when using the FPV mode. At the top of the transmitter you will also find two antennas that are there for better wifi signal reception. LED light at the top of the transmitter, just above the UDI logo, will notify you when tasks like drone pairing are completed. The alarm for when the drone goes out of range and when battery is low will also be played by the transmitter, obviously. There are two separate beeping noises that will play, depending on whether you’re out of range or if the drone has a low battery. UDI U818A Plus battery has its advantages, but there also some drawbacks that I think could have been avoided. For starters let’s talk about the good. Battery has a rather impressive capacity of about 1000 mAh, which gives a flight time of close to 15 minutes. It took me around 3 hours to charge the battery from completely empty to full. Charging is a bit lengthy, but hey, at least it gets you 15 minutes of flight time. Now let’s discuss what I don’t like about the battery, mainly the fact that its proprietary. Yes that’s right. 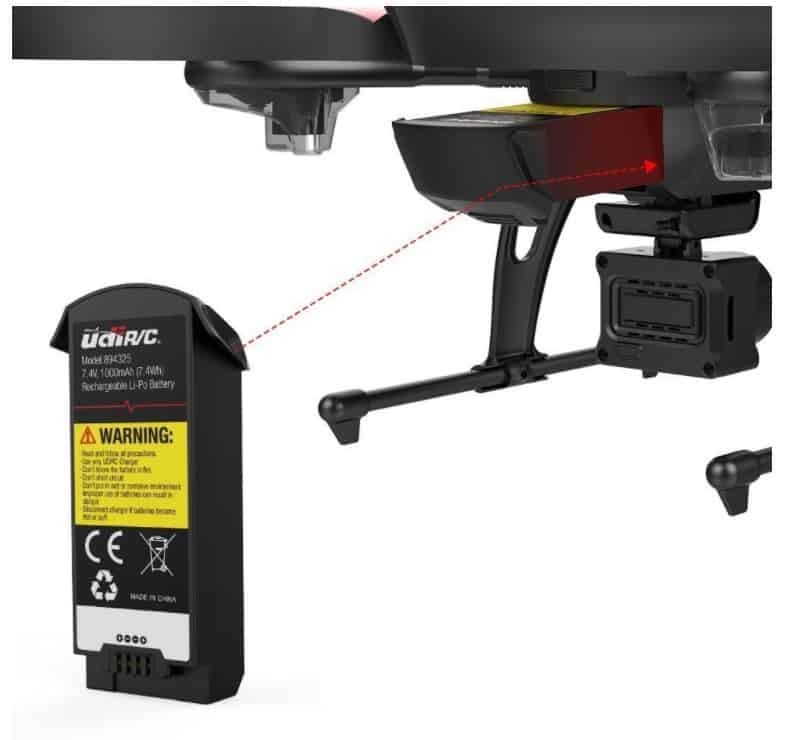 The battery has a proprietary slot/connectors and you can’t use your old batteries that you might have from drones that you already own. This also limits you to only ordering spare batteries from UDI. Another thing that worries me slightly is the fact that I wasn’t able to find spare batteries for purchase. There are similar shaped batteries available on Amazon, but for other models of drones from UDI. We haven’t gotten a response from the company about spare battery availability. We’ll keep this post updated once we know more. 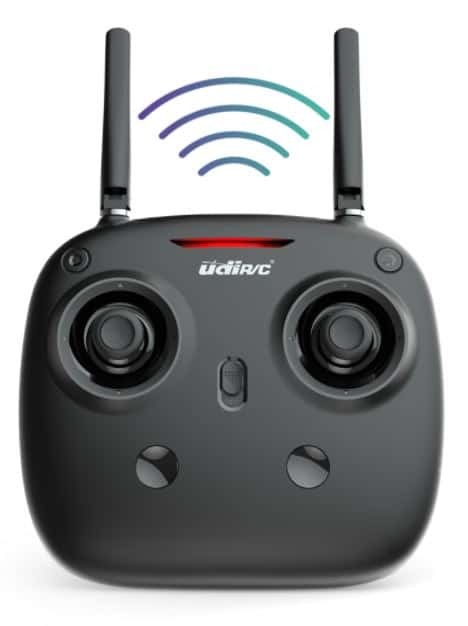 One key take off/land – like many beginner friendly drones, UDI U818A Plus has a one key take off/land functionality that lets you easily get the drone up in the air and then land later on when the battery is spent or your done flying the drone for the day. Speed control – there is a button on the back of the transmitter for setting the drone speed. Three speed setting are available. 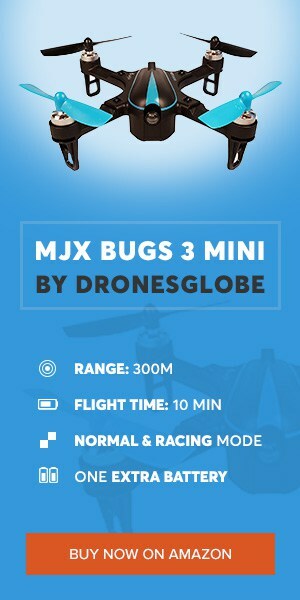 FPV control – drone supports FPV using the Flyingsee app, which is available for both Android and iOS devices. This portion of the app could be better, there’s some noticeable lag when flying the drone in higher speeds, but it’s good enough for navigating the drone. FPV control is also possible, within the app, using the virtual sticks but note that due to lag and signal breakages it difficult to control the drone this way. VR mode – VR can be turned on within the FPV app to give pilots a more immersive experience. You don’t get VR glasses with the drone, you have to use your own, and the same problems that plague FPV (poor signal reception) are also present in the VR mode. Emergency stop and alarms – UDI U818A Plus has a number of safety features which are great for beginners. For starters it has alarms for when the drone comes close to going out of range and when the battery is low. There is also an emergency stop, that stops the drone when problems are detected. Flight routs – another useful feature within the FPV app is flight route drawing. Open the “Custom flight router mode” and draw a route that the drone will then follow after you hit execute. I have to say that I was quite surprised with how good the drone handles and how features like altitude hold and headless mode work without any kind of major issues. FPV works best (is least choppy) when you fly the drone with the slow speed setting. When you use the fastest speed setting the drone really take off, so be careful with it. Checkout the video down below for a better understand of how the drone handles and also to see video camera quality. 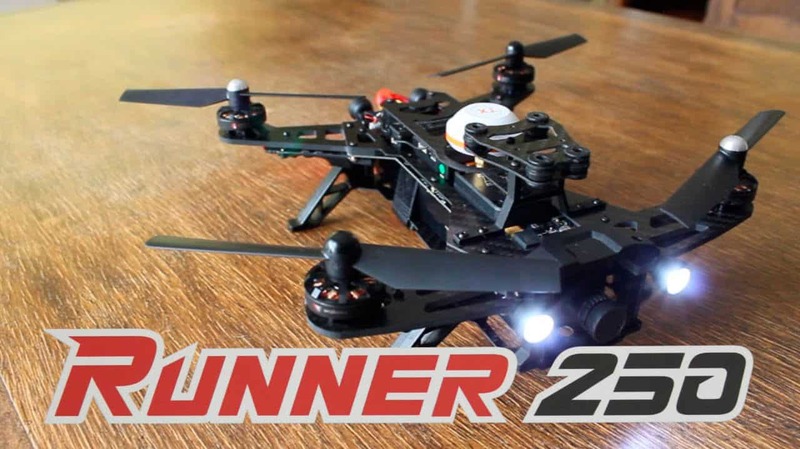 Runner 250 by Walkera: Drone racing isn’t Science Fiction anymore! GoolRC T5G comes with 2MP camera and 5.8GHz FPV – at very affordable price!